Today’s Hotel San Marco is the result of an architectural research of an image in relation to the urban context in which it finds itself together with the building’s own history. 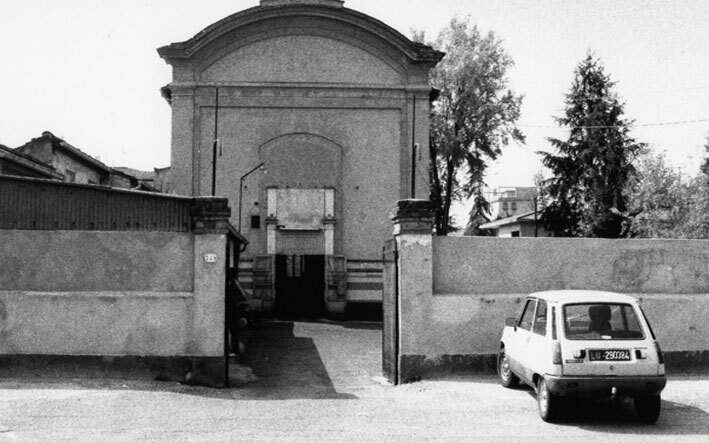 It was born of an existing nineteenth century building which has seen various transformations over the years: from a tobacco drying warehouse (Lucca was and is a traditional centre for the production of hand rolled cigars), to a cotton weaving mill, later a church after the second world war to then become a cinema and successively a ballroom and even a garage for the repairing of motor vehicles. The architect responsible for the project, fascinated by the singular history of the building, chose, rather than demolishing it, to renovate, thus creating almost a "piece" of industrial archeology. The front of the hotel, which is new, re-evokes the building’s past: the riveted architrave at the entrance is an evident reminder of the metal work of the nineteenth century, the use of red brick is a throwback to the houses of the early eighteen hundreds and also ties up with the nearby city walls, the principle entrance with its cornices and ample hall (which with its centrally placed white columns loosely points to its ecclesiastic past). Matteucci, inventors of the internal combustion engine.The overall result is a hotel having a distinct image, characterised by a contemporary architecture linked to a historic past, born of the locus and reference point for the surrounding area.